Could not find member ‘Factor’ in type “WorkflowCompilation.CodeActivity1”. The important point here is that, because Workflow services are only compiled when they are called, we would not have noticed this error if we had not opened the Workflow in designer. Since in our current setup we use a shared assembly for activities, we generally do not want to have to manually open all the solutions that rely on this assembly to see if we have broken anything. 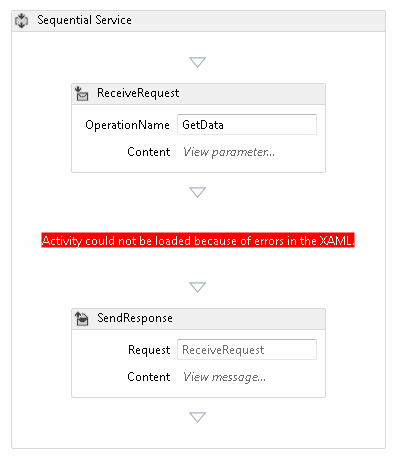 Test method UnitTestProject1.WorkflowUnitTests.Test_WorkflowCanBeInstantiated_Succes threw exception: System.Xaml.XamlObjectWriterException: Cannot set unknown member ‘WorkflowCompilation.CodeActivity1.Factor’. With this method in place, we can now modify our activities as we like and all we have to do to verify any workflow depending on them is to run the automated build process. Of course we still have to update the affected workflows, but we can now do so before deploying to the test environment. Was this useful to you, or do you have suggestions to improve it? Feel free to let me know in the comments! 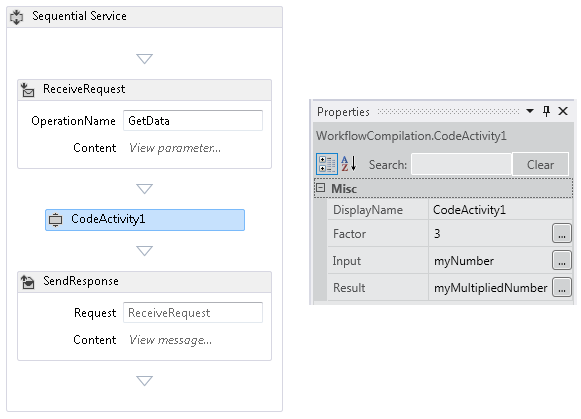 This entry was posted in Tech and tagged .NET, unit testing, web service, workflow by Olaf Keijsers. Bookmark the permalink.